Things got off to a bad start for the Vietnam economy in 2017 with the shock withdrawal of the United States from the Trans-Pacific Partnership (TPP). Subsequent uncertainties about Canada’s participation in a potential TPP-11 agreement that excludes the United States were a further disappointment. Other more positive economic indicators have offset this initial set-back. The broad-based recovery in the global economy throughout 2017 provided welcome support for Vietnam. Despite disappointing growth of 5.1 per cent in the first half of 2017, GDP growth in Vietnam recovered to nearly 6.8 per cent, which was supported mainly by growth in domestic demand, manufacturing, and exports. Inflation was moderate throughout 2017 at 3 per cent with a core inflation rate (excluding administrative prices) of 1.3 per cent. As a result, the State Bank of Vietnam (SBV) cut its benchmark interest rate by 25 basis points to 4.25 per cent. The Bank also raised its annual credit growth target to 20–21 per cent, and actual credit growth remained high at 18.5 per cent. 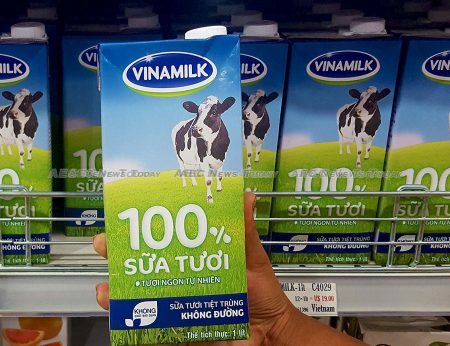 While this is currently supporting Vietnam’s growth in domestic demand, it could pose a risk to financial stability if continued for any length of time — particularly when such growth is based on administrative edict rather than on fundamentals in the Vietnam economy. The end of 2016 saw strong growth in tourism receipts and manufacturing exports, and remittances saw improvements in Vietnam’s current account surplus and foreign exchange reserves. This has somewhat eroded in 2017 due to increases in imports of raw materials and capital equipment to service the country’s export growth, which reflects the ‘assembly’ nature of much of Vietnam’s current manufacturing industry. Nevertheless, continued strong growth in goods and service exports (including a recovery of agricultural exports) resulted in a small current account surplus and saw international reserves rising to just below 3 per cent of imports. The nominal exchange rate has remained relatively stable with a small devaluation of about 1.4 per cent. This helped to stem the continued appreciation of the real exchange rate and to improve competitiveness for the domestic sector. 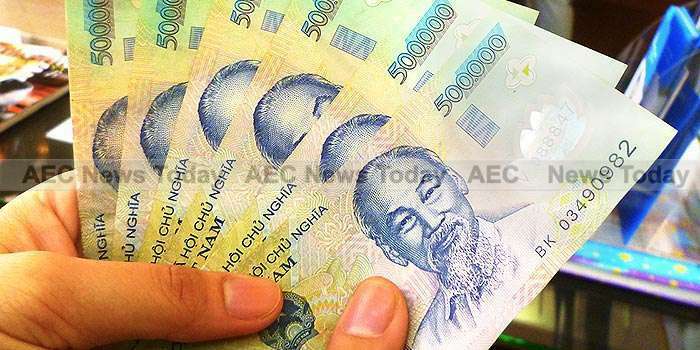 For the past five years Vietnam’s budget deficits have exceeded 6 per cent of GDP every year. 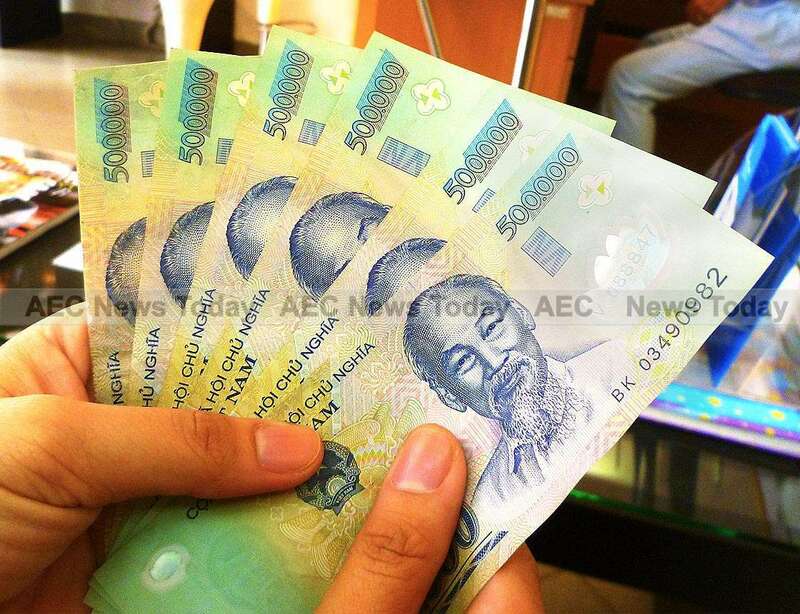 Public sector debt has as a result come close to the 65 per cent of GDP limit set by Vietnam’s National Assembly. The government managed to cut the budget deficit to around 4 per cent of GDP in 2017, which was achieved largely through slashing capital spending — an unsustainable strategy in the medium term for a growing economy such as Vietnam. Raising the value-added tax rate is highly unpopular, as is cutting current expenditure. In such an environment, it is not surprising that selling off state-owned enterprises (SOEs) has taken on increasing urgency. Consumer goods manufacturers such as Vinamilk, Saigon Beer Alcohol Beverage Group (SABECO) and the Hanoi Beer Beverage Corporation (HABECO) are being sold to private interests, and initial public offerings (IPOs) are expected to occur in conglomerates such as national shipping line Vinalines and petroleum company Petrolimex. Vietnam Airlines, PetroVietnam, and state-owned textile conglomerate Vinatex, are all being partially sold to strategic investors. Fortunately for the government, this seems to be an opportune time to accelerate SOE divestment. Merger and acquisition activity with foreign investors is high, the stock market is gaining momentum, and blue-chip companies have high valuations. These conditions are usually favourable for successful IPOs. The danger lies in the valuations: given the very opaque nature of the SOEs’ accounting practices and corporate governance, small unsophisticated investors could easily be caught. Other medium-term risks for the Vietnam economy include the continued fragility of the banking sector: the issues of thinly-capitalised banks and non-performing loans remain unresolved. The tight fiscal situation meant the government had to state formally that there will be no capitalisation of the banks via budgetary measures. Any future resolution of the non-performing loans issue will have to come from continuing improvement of business conditions, both on the part of the banks’ borrowers (SOEs and large real estate companies) and the economy more generally. The unstable conditions on the Korean Peninsula also pose a risk for the Vietnam economy given its dependence on South Korean investment and on trade with South Korea and Japan. Despite this the Vietnam economy continued to show resilience during 2017 and was helped by improving global economic conditions. But its strong dependence on international trade and investment exposes the Vietnam economy to geopolitical risks as well as growing protectionist sentiments globally. It is therefore imperative that the government continues to pursue structural reforms in order to raise productivity growth and to build up domestic and international buffers going forward. This article was written by Suiwah Leung, an Honorary Associate Professor of Economics at the Crawford School of Public Policy, Australian National University. It first appeared on East Asia Forum under a Creative Commons License and is reproduced here with its permission.